The 33-year-old Tampa businessman and Republican, Aakash Patel heads Elevate, Inc., a consultancy firm that assists businesses in social media, community outreach programs, public relations and government affairs. Aakash Patel. 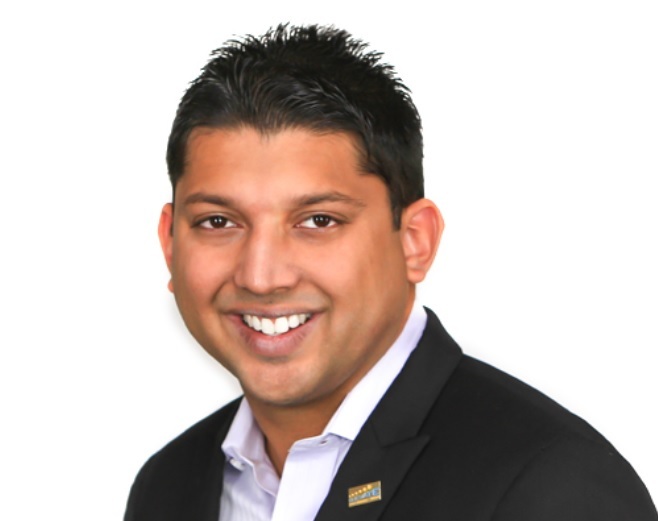 Credit: Elevate, Inc.
Young Indian American entrepreneur Aakash Patel has entered the race for Hillsborough County Commission. Patel was the first Republican to announce his candidature in June for the 2018 election. Patel studied his bachelor’s degree in Political Science and English Literature at Florida State University. During this time he also worked at The Tampa Bay Times Tallahassee Bureau. He is also a graduate of the Greater Tampa Chamber of Commerce’s Leadership Tampa (2012), FBI Citizen’s Academy (2012), Tampa Police Citizen’s Academy (2012), Tampa Bay Public Leadership Institute (2013) Leadership Tampa Bay (2011), and Tampa Connection (2010), and College Leadership Florida (2005). He is enrolled in City of Tampa’s Mayor’s Neighborhood University, according to his LinkedIn profile. He founded Elevate, Inc., in 2012 and is the president of the consulting firm. He is also a co-founder of Leaders’ Friday Luncheon group that helps professionals to network with experts in the industry, and was recognized as co-founder by Tampa Bay Buccaneers Bucs Connection Young Professional Organization in 2016. Some of his several accolades and honors include Milton S. Carothers Ethical Courage award, Top Performer Award by The Greater Tampa Chamber of Commerce, Florida State University Alumni Association top “Thirty Under 30” (2013), Tampa Bay’s Up & Comers by the Tampa Bay Business Journal (2008), and and being featured as “Rising Star” by the Tampa Bay Times. Author: Jayshal SoodJayshal Sood, an international journalist, was Editor of The American Bazaar prior to taking responsibilities as the Managing Editor of the news portal. Sood’s journalism experience includes more than a decade of experience in news media, where he started his career as a Reporter. He has worked with national as well as international media houses including Highlands Productions, Inc, BBC News (Washington, DC), Asian News International (ANI), Oscar's Institute of Art and Research, and Triveni Production International. Sood has a thorough understanding of all facets of news coverage that is reflected both in his work experience and academic background. He was awarded Hall-of-Nations scholarship in 2006 by the American University, Washington, DC. He is also a recipient of Liu Foundation Multicultural Scholarship from Syracuse University, New York. His report in International Investigative Reporting, under renowned investigative journalist Charles Lewis, was commended as the best report in 2007. Sood has worked on documentaries on various subjects including US-Iraq war, US-India nuclear accord, global warming and prominent Indian Americans.